Chicago Bears quarterback Jay Cutler left the game on Sunday as the Bears lost to the Lions on their last drive due to ankle injury, not an aggravation of the groin injury that kept him out of the lineup last week. After the game, Cutler said, via Adam Jahns of the Chicago Sun-Times, that he rolled his left ankle during the first half of the game and that limited his mobility in the second half before he finally came out of the game. It was clear watching Cutler that he was operating at less than full speed, though he said it was just his ankle bothering him and that his groin was fine. That lack of mobility wound up leading to the decision to remove Cutler from the game. Cutler, who had x-rays on the ankle, has said they are negative, although there’s no word yet on his status for next week. 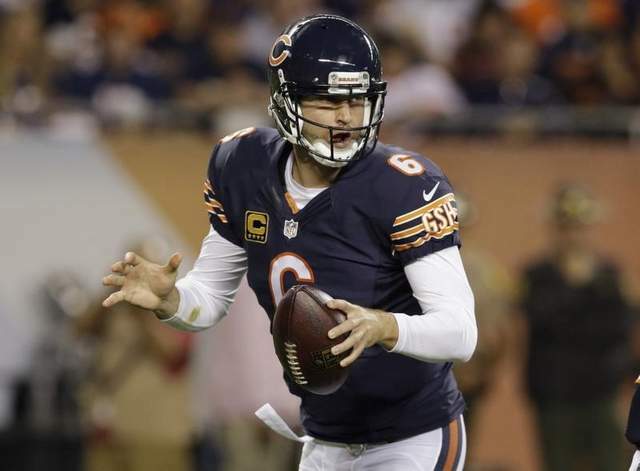 Cutler went 21-of-40 and a total of 250 yards with a touchdown and an interception before the injury. Josh McCown led the Bears to a touchdown, but the team couldn’t get a two-point conversion despite having two shots at it thanks to a penalty by the Lions on their first attempt. The Chicago Bears were in need of some reserves to help an injury hampered unit Wednesday, and they do so by signing defensive tackle Jay Ratliff. In addition to making the signing of Ratiff official, who agreed to a new deal last weekend, the Bears have announced that they have come to agreements with long snapper Jeremy Cain. Longtime long snapper Patrick Mannelly, who has played in more games than any Bear, left Lambeau Field Monday night in a walking boot because of a calf injury. He finished the game, but adding Cain provides some insurance. According to John Mullin of CSNChicago.com, Bears coach Marc Trestman said Mannelly could miss a few weeks. 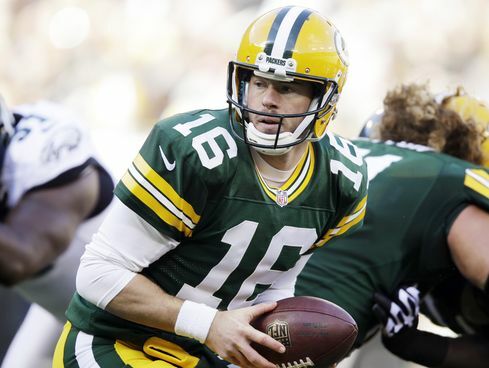 The Green Bay Packers were paying Scott Tolzien like a member of the 53-man roster. Now he’s on it. According to Ian Rapoport of the NFL Network, Tolzien will be promoted from the Packers practice squad to their active roster after star quarterback Aaron Rodgers broke his collarbone in Monday Nights battle against the Chicago Bears. Seneca Wallace, who is the starter for at least the near-term, was the only other quarterback on the active roster last night. 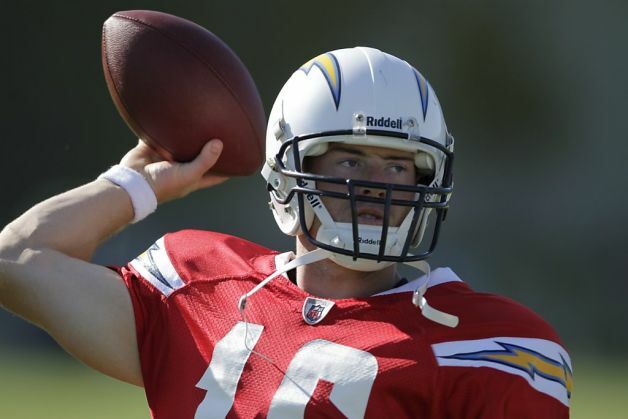 Tolzien is familiar to local fans, leading Wisconsin to the Rose Bowl his senior year. He spent time with the Chargers and 49ers before making his back to the Midwest, where he’s now a play away from taking the field. Although the initial reports on Cutler’s injury suggested that he’d miss four weeks, the news that he plans to miss just one game comes as no surprise. 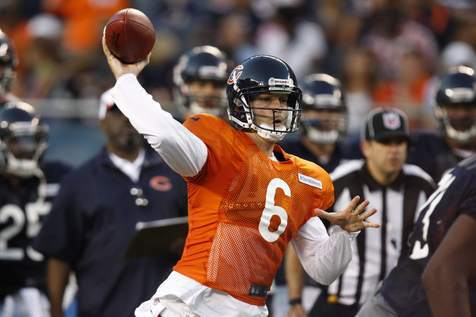 Cutler said last week that was his goal, and there have been no setbacks since then. The question, however, is whether the Bears’ medical staff and coaching staff agree with Cutler’s self assessment. Cutler may think he can give it a go against the Lions, but if his mobility is limited and he can’t avoid Detroit’s pass rush, he won’t be doing his team any favors by toughing it out through a groin injury. To Vikings fan asking whether or not the season could get any worse for the team after the loss to the Dallas Cowboys, the answer is “yes”. Bad just got worse for the struggling 1-7 Minnesota Vikings with tight end,Kyle Rudolph, now out for an expected 4-6 weeks with a broken foot. Tight end Kyle Rudolph scored an amazing 31-yard touchdown against the Dallas Cowboys, but was injured on the play and didn’t return to the game. The injury, which isn’t career- or season-ending, will still sideline Rudolph for a significant amount of time. According to multiple sources, Rudolph has a fractured bone in his foot. 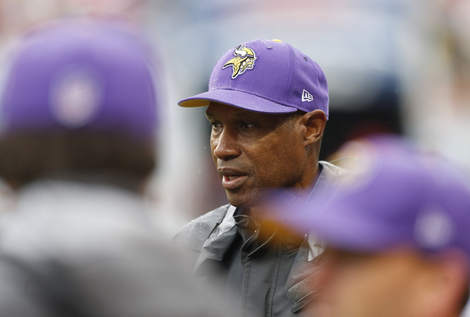 Minnesota Vikings General Manager, Rick Spielman has gone on the record by saying that head coach Leslie Frazier will be part of the vikings organization through the 2014 season. The problem is that Spielman can’t be sure that anyone else’s job is safe, because he can’t say for sure that his own job is safe. If the second half of the season in Minnesota is as much of a debacle as the first half has been, everyone’s job is in jeopardy. Spielman has indicated that the goal for the rest of the year is determining whether Christian Ponder, Josh Freeman or Matt Cassel will be taking snaps as the starter for the vikings has what it takes to be the team’s starter in 2014 and beyond. The Bears are looking for any and all help on defense, they might just have found a nice replacement for defensive tackle. 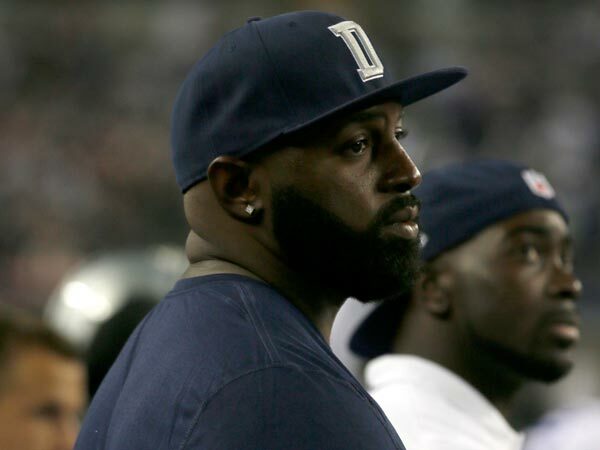 Incomes, Jay Ratliff, released by the Cowboys last month, and looks to show the Bears what he can do as he fills in for fellow defensive tackle, Henry Melton, who is out with a season ending injury. Ratliff is a four-time Pro Bowler, and has agreed to a one-year contract with the Bears, according to Ed Werder of ESPN. The Bears were one of three teams that were interested in the service of Ratliff, along with the Chiefs and the Dolphins, who also appeared to have strong interest. The Bengals made a late run at him as well, after losing their defensive tackle, Geno Atkins for the season on Thursday nght. If all ends well for Eddie Lacy, he should be on track to end the Packers’ four-year drought without a 1,000 yard rusher. Don’t look now, but Eddie Lacy could be on track to become the Packers’ first 1,000 yard rusher since Ryan Grant in 2009. 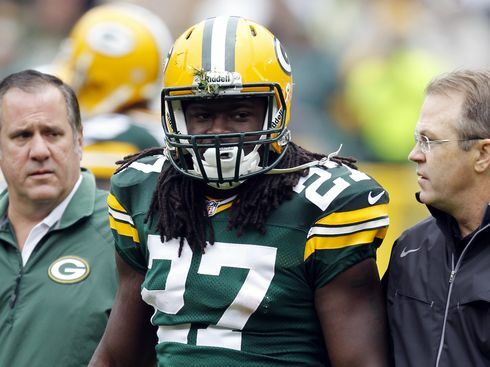 Through seven games, Lacy has accumulated 446 rushing yards, an average of 63.7 yards. To put things in context, the Packers’ leading rusher in 2012 gained only 18 more yards over the entire season. At this rate, Lacy is projected to gain 1,019 yards by the end of the year. Yet that figure is misleading. Lacy essentially missed two games earlier this year after sustaining a concussion from Brandon Meriweather on his first carry against Washington. A healthy Lacy should run for far more than that 1,019 yard figure. In the five games which Lacy carried the ball more than one time, he averaged 87.2 yards. That projects to approximately 785 yards over his next nine games and a total of 1231 for the season. Granted, there are other factors that could affect that projection. With James Starks recovered from a knee injury that cost him multiple games, the Packers are likely to reduce Lacy’s workload to keep him fresh for the playoffs. Additionally, as James Jonesand Randall Cobb return to action, the passing game will likely regain some of its prominence in the play calling. And, of course, Lacy could sustain another injury and miss time. However, the mere fact that we’re discussing how many rushing yards Lacy will gainbeyond 1,000 tells you how great things are going in Green Bay.